Each year at Thanksgiving I love to attempt a new recipe and expand my culinary portfolio. I’m a no fuss kind of girl in the kitchen. I do simple. I do delicious. I do pie. Preheat oven to 350. Sprinkle work surface with powdered sugar. Unroll piecrust, and place on prepared surface. 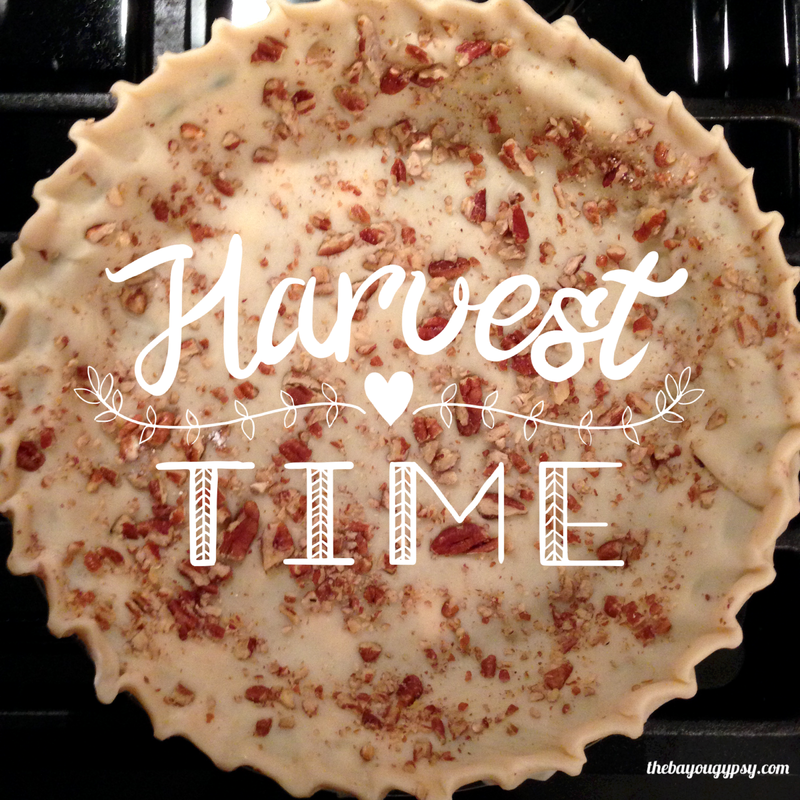 Sprnkle piecrust with chopped pecans. 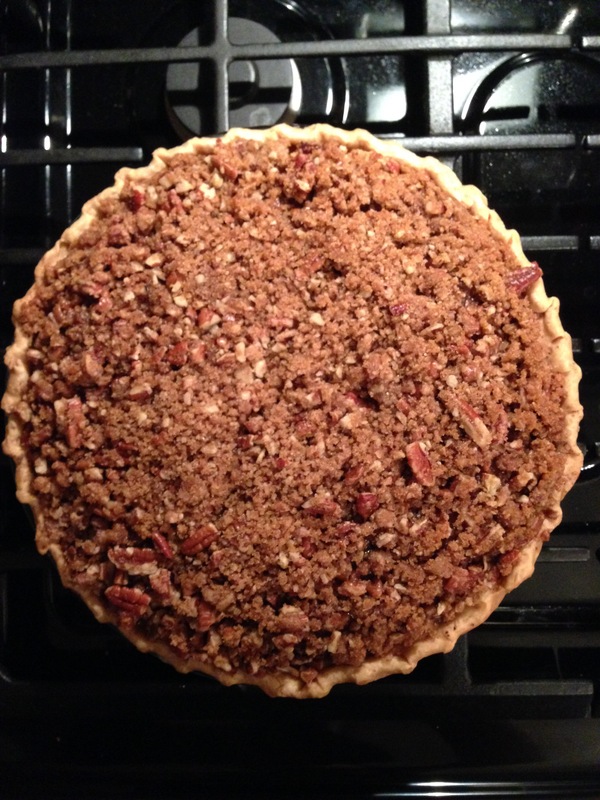 Place wax paper over piecrust and pecans, and lightly roll pecans into crust. Fit piecrust, pecan side up, in a lightly greased (with cooking spray) 9-inch pie plate; fold edges under, and crimp. Whisk together pumpkin and next 6 ingredients in a large bowl until smooth and well incorporated; pour into prepared piecrust. Bake at 350 for 45 minutes, shielding edges with aluminum foil after 20 minutes, if needed, to prevent excessive browning. Carefully top pie wiht Pecan Streusel Topping. Reduce oven temperature to 325, and bake 25 minutes, covering pie with aluminum foil after 5 to 10 minutes to prevent excessive browning. Cool completely on a wire rack (about 2 hours). Give Thanks and Eat Pie! 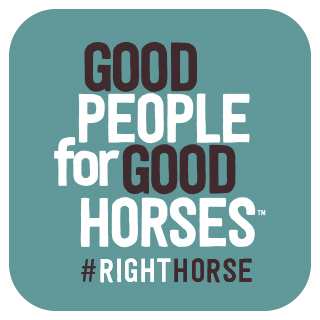 Previous Post Grateful…and so very thankful.